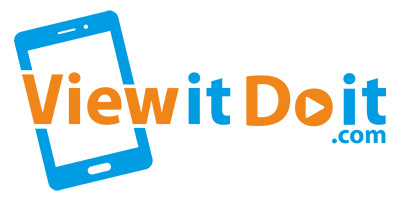 Virginia Beach, Virginia businessman Kevin Neff has announced that ViewitDoit™ will be the first of what he expects to be several sponsors for his upcoming “Kickin It in the 757”™ television show and online network. ViewitDoit™ is based out of Norfolk, Virginia and is the brainchild of Mark and Vanessa Lane. Vanessa, who is President and Director of Operations said that after meeting Kevin and his co-producer Mike Martine, the decision to become a sponsor was an easy one. “We are excited to work with one of the most talented people in the area. We know that Kickin’it in the 757 is going to be extremely popular and we are excited to be involved. It’s perfect timing because on March 1, 2016 we were granted our first, of hopefully several patents. We have developed a way to tie information to specific coordinates in the live feed. So whether it be advertisements, logos, etc., we are the only company allowed to do this for the next 20 years. We are very excited!” said Vanessa. The Kickin It in the 757™ network which will go live this fall and will consist of feature length video segments that consumers can access for free via the website and social media platforms. In addition, a weekly entertainment style magazine show is scheduled to debut this fall. The show is slated to air Sunday mornings on The CW local affiliate WGNT, and will be hosted by Neff. ViewitDoit™ offers people/companies the ability to broadcast and record live events using a controllable camera. Since it is a portable camera (with its own power and internet), they can drop the camera off at just about any location and send your feed to the world. At the end of the event, they will also give you a high definition recording. Kevin Makes Sense Media is a contemporary branding and marketing firm based in Virginia Beach, Virginia. 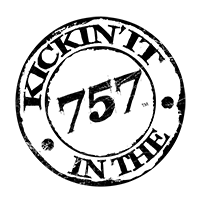 Their award-winning creative services include video production & animation, graphic design, web design, social media and email marketing. They provide custom solutions for local, regional, and national clients.